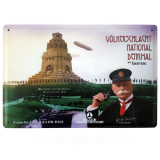 Leipzig Shop - unique gifts, souvenirs and products around Leipzig Saxony Germany. Brettspiel - Napoleon ärgere Dich nicht! Leipziger Piratenfeuer - feurig, jamaikanisch, unvergesslich! 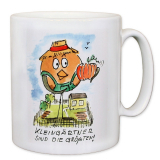 We warmly welcome you in our online store of Leipzig and hope you enjoy rummaging, discovering and shopping. 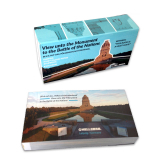 Discover unique gifts, souvenirs and products around Leipzig Saxony Germany. 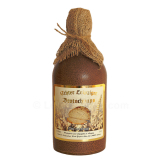 Echter Leipziger Brotschnaps - bread brandy - Special Edition "Rustic"
Precious Leipzig quality bread brandy produced from the best raw materials. A fine fragrant pleasure of freshly baked bread for connoisseurs and epicure with a unique full-bodied flavor of rye bread and a soft aromatic finish. A mild and wholesome bread brandy in a top class! Now available at Leipzig shop. Warning: This product contains alcohol and should not be delivered to persons under the legal age. With your order you confirm that you have the legal age. 01. Echter Leipziger Brotschnaps - bread brandy - Special Edition "Rustic"